Join us as we transform a traditional Thai favourite dessert comprising of freshly sliced mangoes and steamed glutinous rice steeped in coconut milk into a unique mousse cake. In this class, you’ll learn how to cook coconut sticky rice from scratch, how to make a gluten-free dacquoise (or meringue sponge) with coconut and a hint of refreshing lime. 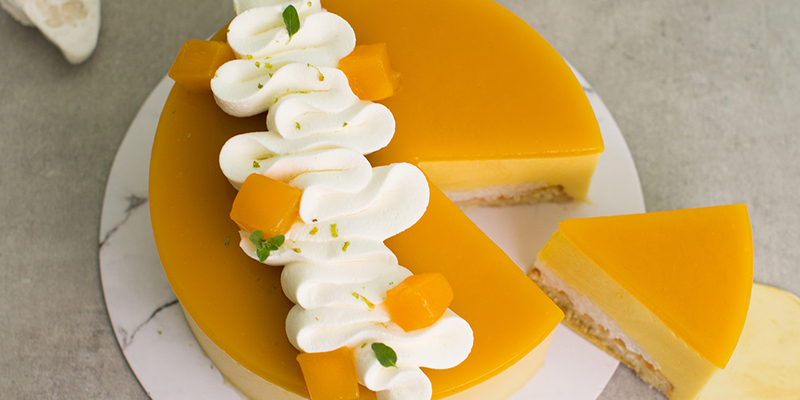 Learn how to make a light and fluffy mango mousse made up of only 4 ingredients! *Students will work in PAIRS for every component, but will be layering, assembling and decorating your own 6” Mango Sticky Rice Cake.